The Italian government aims to collect your income tax on short term rentals from the agency that takes the holiday booking. It has become very popular for homeowners in Italy to offer short term rentals to help cover their household bills. Whether you have a spare room, apartment, villa or castle, internet portals such as AirBnB, Homeaway and OwnersDirect, offer an easy way to get bookings, and many people make a good income from this method of renting out their property. Some have also found it easy to avoid paying tax on this income, as the onus is on them to declare it in their income tax returns. This situation hasn’t pleased hotels, as rental hosts are undercutting hotel room prices significantly. To get around this problem the Italian Government have proposed that the agency or website, such as AirBnB, withholds 21% of the payment on short term holiday rentals, which must then be paid to the state. This will in effect act as a replacement to income tax on these earnings. Already approved by the Minister of Economy and Finances, Pier Carlo Padoan, as part of a group of measures to reduce the Italian deficit of €3.4 billion, it now just needs to be approved by the Senate. The measure is then expected to come into effect on the 1st June. This shouldn’t be a difficult procedure for big agencies to take onboard and will remove the burden from some property owners, who find it difficult to fill in tax returns. AirBnB already facilitates online payments from guest to host through its Security Payments feature, which processes payment transactions 24 hours after check-in. They can also deal with security deposits and cleaning fees, the former of which is held until the property is vacated. For their services, they take a commission from both the guests and the hosts, which has made AirBnB substantial profits since the founders started the business back in 2008. However, they have themselves been accused of using tax avoidance measures. Where it potentially could get confusing is when you have agencies, property owners and rental guests living and paying tax in a country other than Italy. The American giant now has over three million listings, across 191 countries. Since arriving in Italy in 2012, they have gone from strength to strength with Italy being one of their top ten destinations, offering over 150,000 listings across the country. As well as rooms in big cities, many listings provide accommodation to travellers who like to go off the beaten track. 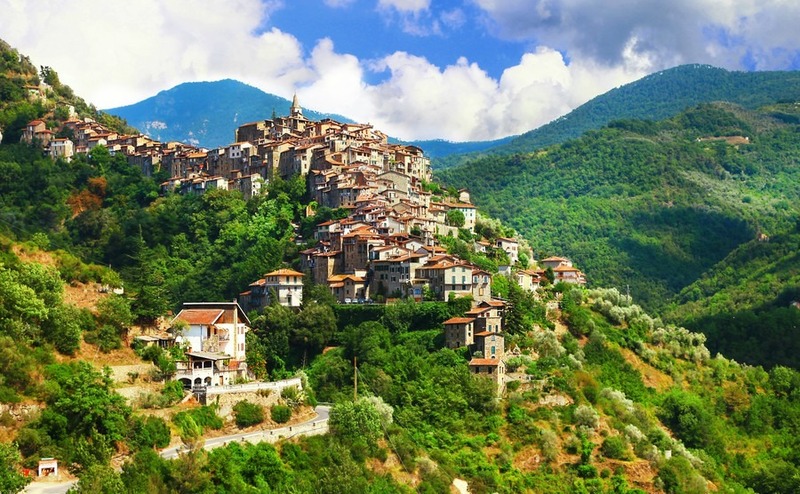 AirBnB have even been involved in projects to help bring people to some of Italy’s smallest hamlets, that previously had no visitor accommodation. 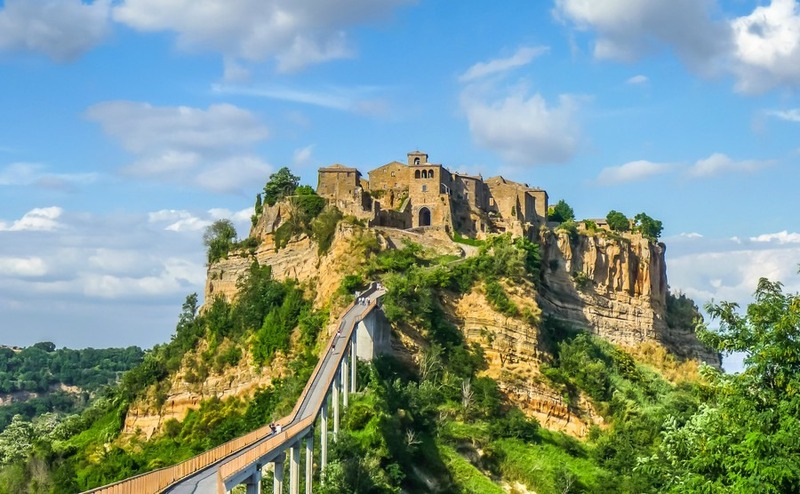 Villages like Civita di Bagnoregio, which is perched on a mountaintop in Central Italy, accessible only by a 70-meter high suspension bridge. Bringing tourism and property buyers to these small villages is something the tourist authorities are keen to encourage. Visitors to Italy are increasingly looking for new places to discover, where they can find the real Italy and have unique travel experiences. Some room rental guests are even searching for that piece of Italy they can call home, a place that’s so special they will want to share it with other guests in the future.